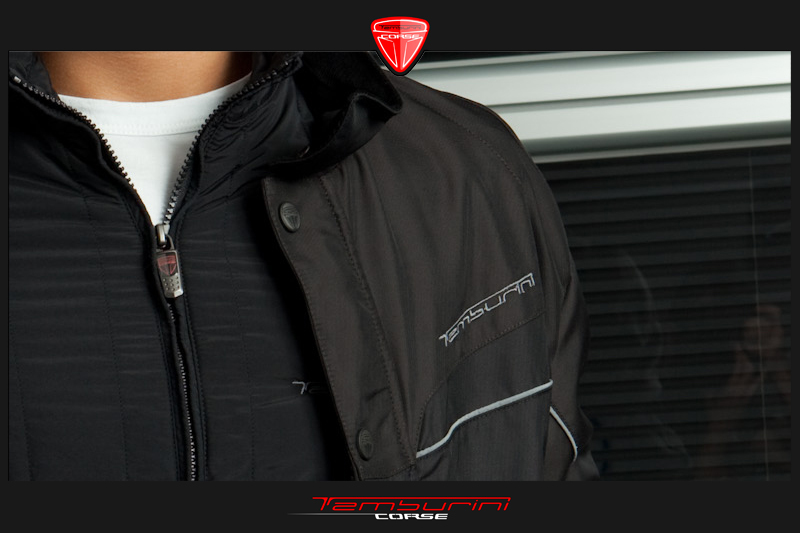 Completely hand-made by skilled Italian craftsmen with the prestigious “Rantana” fabric, the jacket combines innovative and attractive design with softness and wearability. 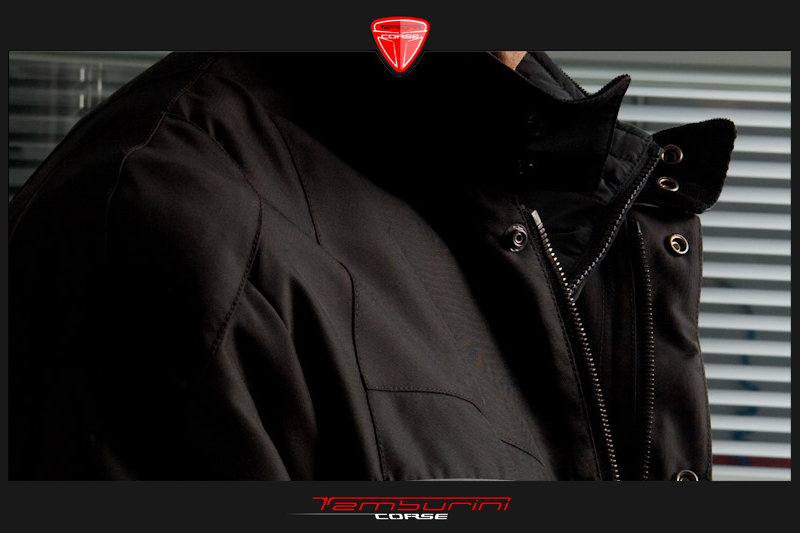 This item is also equipped with a series of internal arrangements designed to allow the insertion of type-tested protections in order to increase safety when used on a motorcycle as well as dedicated accessories bearing the “Tamburini Corse” logo. The internal section and inner sleeves are completely removable. 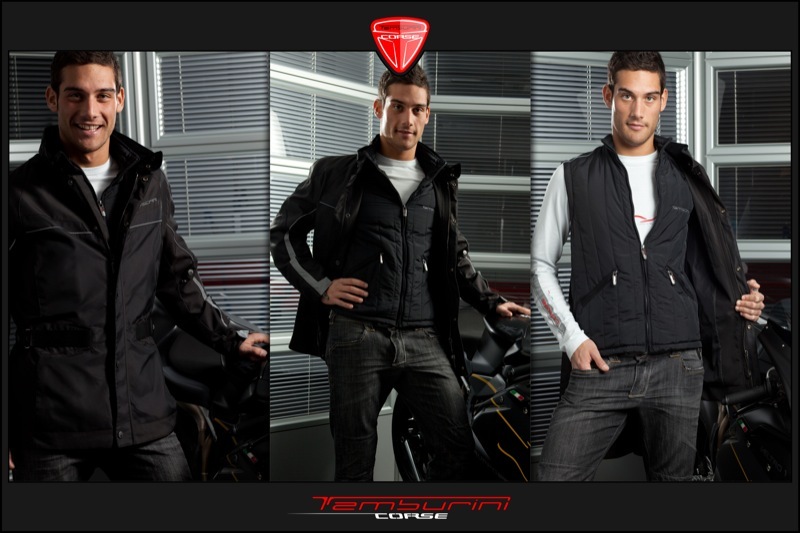 It’s a real jacket, extremely accurate and customized, ideal to be worn in specific periods of the year. This product is available in two different colours: black with dark brown inserts or dark brown with black inserts. 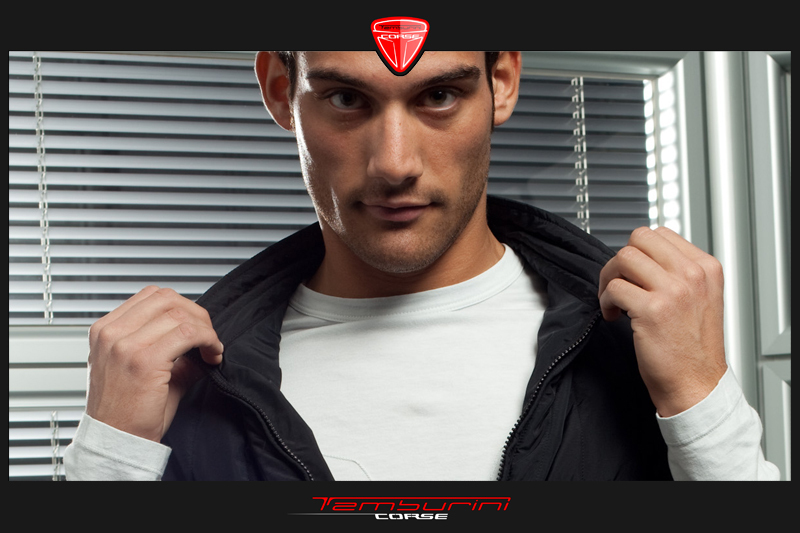 The product has been designed by Tamburini Corse and manufactured 100% in Italy in full observance of the currently in force regulations. The great care shown for every single detail, from seams to customized buttons, together with the use of precious fabrics, places this product at the top of the category, enhancing its design and the true “Made in Italy” manufacture.